Nissan had a lack of internal controls, corporate watchers say. Pictured is the automaker's headquarters. YOKOHAMA, Japan -- Nissan Motor Co. has discovered yet more final inspection problems and said it will recall 150,000 vehicles in Japan as an executive blamed ousted boss Carlos Ghosn for partially fanning the lapses with his hard-charging drive to ramp up volume and cut costs. The problems stemmed from a range of botched testing of cars at two plants in Japan, Corporate Vice President Seiji Honda said Dec. 7 during a hastily arranged evening news conference at Nissan’s global headquarters south of Tokyo. Nissan will issue the recall Dec. 13. The problem was uncovered during an audit of Nissan’s factories. Nissan has been reviewing its plant operations under a strict regime of reports and inspections set by the country’s transportation ministry since the first inspection problems came to light late last year. 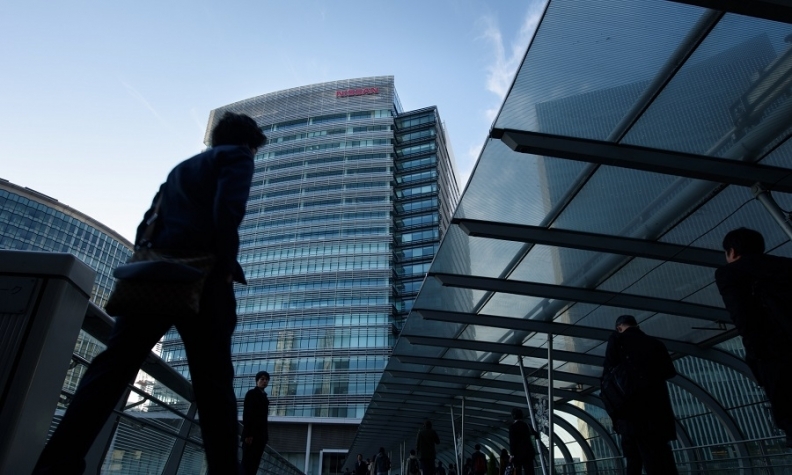 Honda said Ghosn, the company’s longtime chairman until late last month, contributed to the problems by pushing policies that upped pressure on line workers to dial up production and dial down costs. Ghosn was sent to Nissan by French partner Renault in 1999 and is credited with saving a then-struggling Nissan from bankruptcy. But in recent years, critics have said his policies of chasing market share and volume have undercut sustainable profitability. The new setback comes less than three weeks after Ghosn was arrested on suspicion of financial misconduct. CEO Hiroto Saikawa held an emergency news conference on Nov. 19, the evening of Ghosn’s arrest, to accuse his former boss of under-reporting compensation and misappropriating company money for private use. Ghosn was ousted as chairman days later. Ghosn's apparent detached disinterest in the inspection crisis as it dented Nissan's image in the carmaker's home market fueled resentment among top brass, local media have reported. Nissan deployed too few inspectors, streamlined processes and leaned on various shortcuts, in violation of guidelines, partly as the company raced to meet surging demand and expand. Similar problems have ensnared other Japanese carmakers, including Subaru, Mazda and Suzuki, and spurred more than 1.6 million recalls in total. But Nissan accounts for the bulk of them. The company triggered the scandal in October 2017 when it conceded that uncertified workers had been signing off on inspections at its plants in Japan. At that time Nissan recalled 1.1 million vehicles to be rechecked, virtually every car made for sale here over the previous three years. Nissan’s Dec. 7 announcement adds 150,000 vehicles to the total. Among the new problems, Nissan had been testing rear-wheel brake force incorrectly, testing steering wheel angle incorrectly and carrying out other tests at unprescribed vehicle speeds. Honda said outdated inspection equipment was one underlining cause of the problems. Another cause was a lack of awareness among workers about the official inspection processes, partly because of inconsistent training manuals. Honda also said overstretched workers took shortcuts under increased pressure to cut costs and speed output.